Hi! I am Gajendra Singh From Gurgaon. Few months before, I joined with EwebGuide Campaign promotion program. I started working on it through Email Marketing and Ad-Banners. I was worried for payment. But Now I can say Ewebguide is fully trustable organization for payment on time. Amazingly, I got benefits more than my expectations which lead me towards the success. Thank You EwebGuide." "My name is Pradeep Ahuja and I belong to Bangalore. When I started using services of Ewebguide, I was not sure it would be so beneficial for me. The Campaign I got from this company proved as economically profitable when I started working through social media. I would like to prefer Ewebguide to all." "Hello, I am Shrikant Bhosle from Pune, Maharashtra. 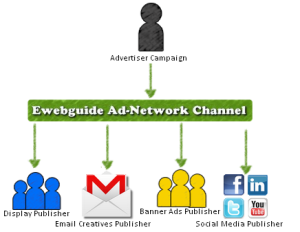 I found Ewebguide is an ideal company as Ad Banner/Social Media Publisher and Email Marketing. The company is associated with the leading brands of India and provides campaigns enough to attract a thicker online traffic. Of course, I've a great experience with Ewebguide and I'd like to be in relation with this company in future."